Instructions for using Tinder without Facebook. In this guide, we will tell you everything you need about the latest status of using Tinder without linking it to your Facebook account first. This page will be regularly updated with the latest developments so it’s recommended to bookmark the page to stay up to date. Let’s get started. Tinder is an online dating app where you can come easily into contact with people from your own area. You don’t need to create a detailed profile but you log in with your Facebook profile and you’re done. Every day, millions of people are dating with the Tinder app. 1.2 billion profiles are daily swiped and it delivers 21 million matches per day via the app. 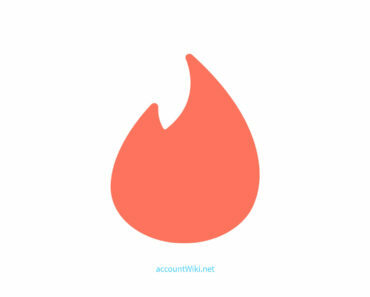 In total, there are more than 5 billion matches realized through Tinder. There are many reasons why someone would like to use Tinder without facebook. Maybe you don’t want to link your private Facebook profile with your love life. Or you don’t have a Facebook account at all. Whatever the reasons is, it is always good to have an option. Unfortunately, the app doesn’t give you this option by default, which is probably also the reason why you’re here reading this guide. So as you can see, using Facebook for Tinder login is actually a smart move for the company. It takes away a lot of development that would normally be necessary. Right now, there is no way to use Tinder without Facebook. You simply need a Facebook account to access Tinder. But there are some tricks that you can apply for a better privacy. Keep reading for more info on this. At the moment of writing this, there is no official way to use Tinder without Facebook. But there are three simple hacks to use Tinder anonymous. This will prevent Tinder for posting something on your Facebook and you mismatch because you will be judged by mutual friends. Now that the world is out, let’s begin! Perhaps you’ve wondered the following: “Can Tinder be viewed on Facebook?” In a word: No. At least, not if Tinder is set to “Only me”. How do you do that? Go to Facebook.com on your computer (or open the desktop site on your mobile). Click on “Apps” on the left menu. Click on the Tinder icon. If the “App visibility ” is not set on “Only me”, change it. Yes. That’s a lot of data. Now you’re probably wondering: “Does Tinder really need this much information?” The answer is no. Below I’ll show you how you can easily change these settings. To change these settings we continue where we left off. If you have saved the settings in the previous step, then click again on the Tinder icon. Under “App visibility” you will see a list. Behind each item, there is a checkmark. By unchecking an item, you deny access to that item. Except the “Public Profile”, each item can be unchecked. If you’re satisfied, click “Save”. So. Now you know how you can change your Tinder-privacy settings. But it is also possible to use Tinder without your personal Facebook account. The truth is that without Facebook, Tinder is not possible. That means that you can not create a Tinder account without Facebook. But don’t worry. What you can do is create a second account on Facebook. An account that you use only for Tinder. This is the best way to keep Tinder and Facebook separately. To help you on your way as much as possible I’ll show you exactly how to do this below. Now, just activate your Facebook account (follow the instructions on your email) to continue. If you have the Facebook app installed on your phone, you must sign out from your real account and sign in with the Tinder Facebook account. Now install the Tinder app on your phone and click the sign in with Facebook button. Ok, this won’t allow you to use Tinder without Facebook, but at least you are sure that none of your Facebook friends will see you on Tinder. What is Tinder and how do you use it? Dating app Tinder is immensely popular. The concept resembles a kind of meat inspection in which only users who like each other can chat with each other. So how does it work? Tinder alone has millions of users and still growing. Every day viewed 500 million profiles worldwide. AccountWiki explains how the popular dating app works. For starters, you need a profile. This involves the use of Facebook. Without Facebook, no Tinder. Tinder retrieves your name from the social network and selects five pictures to be used in the app. Those pictures can be changed and a short biography can be added to the profile. The app additionally looks at the friends and likes of the user. For example, information on shared interests can be used to determine a potential match. Further, you only enter the gender and sexual preference and you can get started. Tinder does not send information to Facebook. So no posts about Tinder will appear on your Facebook timeline. Once signed in, Tinder shows users pictures of other members. In addition, there is a cross and a heart. If you touch the cross, you continue to the next picture. With the heart, you indicate that you are interested in that particular user. Tinder then dishes out your photo for the users you like. If he or she shows also likes your photo, you can start chatting with each other. Users are then presented in a chat window to another. The profiles shown are only those who are nearby. The location based on GPS. The application was, like Facebook, first introduced at a university. The app launched in September 2012 at a party at the University of Southern California. The popularity grew quickly and was downloaded approximately one hundred to two hundred times per month in April 2013. Tinder only has apps for Android and iOS so no Tinder fun for Windows Phone and Blackberry users.